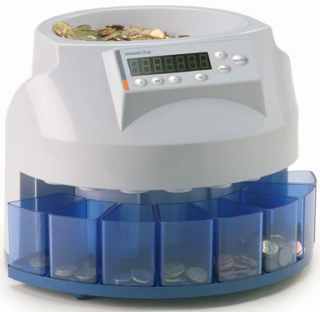 The CS 50 model is the ideal machine for small amounts of coins. 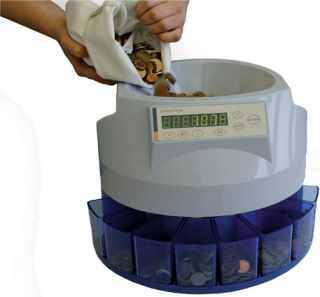 All euro coins are counted and sorted quickly and trouble-free, with a speed of up to 200 coins per minute. The machine displays, aside from the total, the detailed result of the complete counting process. The batch function enables to enter a counting stop for each sort of coin. This is especially useful for counting coins for coin roles.